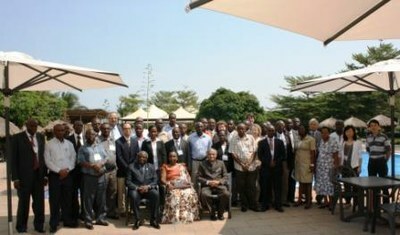 The Lake Tanganyika Authority (LTA) and the Aquatic Ecosystem Health and Management Society (AEHMS) of Canada co-hosted the 7th Great Lakes of the World (GLOW) Conference that is being held from 17th – 20th June, 2012 in Bujumbura, Burundi. The opening ceremonies were lead by Honorable Odette Kayitesi, Minister of Agriculture and Livestock of the Republic of Burundi. 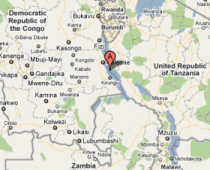 The Lake Tanganyika Authority (LTA) and the Aquatic Ecosystem Health and Management Society (AEHMS) of Canada co-hosted the 7th Great Lakes of the World (GLOW) Conference that is being held from 17th – 20th June, 2012 in Bujumbura, Burundi. The opening ceremonies were lead by Honorable Odette Kayitesi, Minister of Agriculture and Livestock of the Republic of Burundi. " I apperciate that this 7th Conference which is part of the continuing series of international symposia aimed at promoting interaction and communication between the Great Lakes Scientists and communities across the World, is being held here at Bujumbura", added Honorable Odette Kayitesi. She continued saying that the 7th GLOW Conference has really added value to the Lake Tanganyika profile. LTA Executive Director, Dr. Henry Mwimwa, in his welcome remarks, he mentioned that this particularyIinternational Conference is not only focused on the African Great Lakes, but on other lakes and ecosystems as well of the world at large. He took a time to thank Pr. Mohiuddin Munawar and the AEHMS team for having accepted to co-host this important International conference. He extended thanks to the LTA Secretariat host Governement: the Government of the Republic of Burundi, the governments of other Lake Tanganyika riparian countries (Democratic Republic of Congo, Tanzania and Zambia) and the African Development Bank for the continued support to the efforts made in ensuring a sustainable management of the Lake Tanganyika. He congratulated the Conference Secretariat, the Scientific and Local Organizing Committees for having reviewed the manuscripts in a timely manner.
" It is my hope that you will all take advantage of this occasion to not only share information but begin to explore ways in wich you can work together" wished Pr Munawar to the partcipants. The Great Lakes of the World (GLOW) Working Group was established by the Aquatic Ecosystem Health & Management Society in 1996 when the first GLOW symposium was organized at Victoria Falls, Zimbabwe. Since then the AEHMS has launched a continuing series of international symposia in order to promote interaction and communication amongst various great lakes/large lakes researchers across the world. The purpose of GLOW is to establish a global platform where ecosystem-based studies of structure, function and performance of large/great lake ecosystems is promoted, organized and synthesized. In addition, GLOW attempts to promote ecosystem, science-based management of these extensive natural resources in an integrated, multi-trophic and multi-disciplinary fashion. A majority of the great lakes/large lakes researchers, students and managers are aware of the GLOW series of symposia as well as the resulting peer reviewed publications. These publications include special issues of the journal AEHM and books of the Ecovision World Monograph Series. Lake Tanganyika is well-known as a hotspot of aquatic biodiversity, harbouring hundreds of species. It is famous for its colourful fish, as well as snails, crabs, shrimps, sponges, and many other organisms that are found nowhere else in the world. As Africa’s oldest and deepest lake it contains almost 17% of the world’s available freshwater supply. Millions of people depend on the lake for water, food, and transportation including important transport routes between the riparian countries of Burundi, Democratic Republic of Congo (DRC), Tanzania and Zambia. Due to Tanganyika’s important ecosystem, the AEHMS decided to convene the seventh conference on the Great Lakes of the World (GLOW 7) on this amazing lake, with the help of the Lake Tanganyika Authority (LTA).